On the brink of giving up his post, U.S. Attorney General Eric Holder appears to be more open than ever before to talk about the potential of rescheduling of marijuana. Marijuana is currently a Schedule I substance in the U.S. – along with heroin, LSD, ecstasy and other substances with "no medical use" – a designation activists have long fought and a serious roadblock for the legal marijuana industry in states that allow the sale of medical or recreational cannabis. And now Holder – who is in the news this morning regarding his recent resignation as attorney general – is saying that Americans should question themselves, using science as a guide, on rescheduling marijuana and its shared classification with heroin. 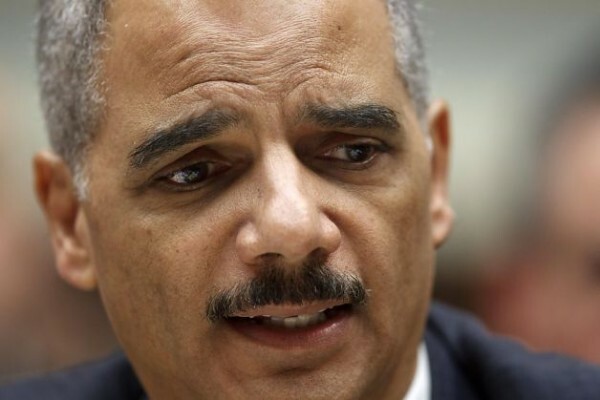 "It's certainly a question we need to ask ourselves, whether or not marijuana is as serious a drug as heroin, especially given what we've seen recently with regard to heroin – the progression of people, from using opioids to heroin use, the spread and the destruction that heroin has perpetrated all around our country," Holder told Yahoo global news anchor Katie Couric. "And to see how, by contrast, what the impact is of marijuana use. "Now it can be destructive, if used in certain ways, but the question of whether or not they should be in the same category is something that we need to ask ourselves – and use science as the basis for making that determination." Couric then asked Holder if marijuana should be federally decriminalized. "That is something for Congress to decide," he said. "I think we've taken a look at the experiments that are going on in Colorado and Washington, and we're going to see what happens there, and that'll help inform us as to what we want to do on the federal level." Some inside the marijuana reform movement took Holder's words encouragingly. "It's refreshing to hear these remarks from the attorney general, especially since the science couldn't be any clearer that marijuana doesn't meet the criteria for being classified as a Schedule I substance," said Tom Angell, chairman of industry group Marijuana Majority. "Numerous studies confirm marijuana's medical value, and if the administration is serious about taking an objective look at this issue, rescheduling is very achievable by the time this president leaves office. They can do this administratively without any further action from Congress." Rescheduling marijuana! Removing this albatross can only help.